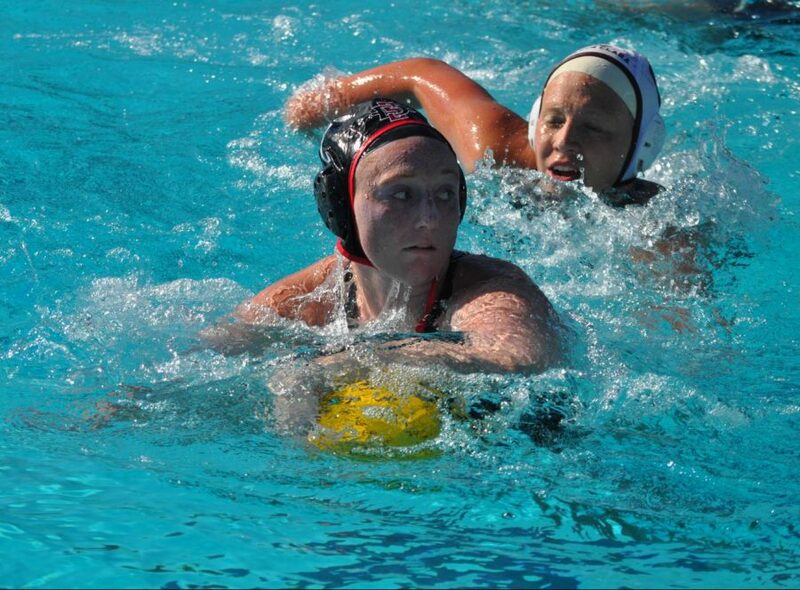 Sophomore utility player Emily Bennett keeps the ball away from a Santa Clara defender during the Aztecs' 4-1 victory over the Broncos on March 28 at the Aztec Aquaplex. No. 21 San Diego State water polo defeated Santa Clara in a low-scoring affair by a final score of 4-1 on March 28 at the Aztec Aquaplex. 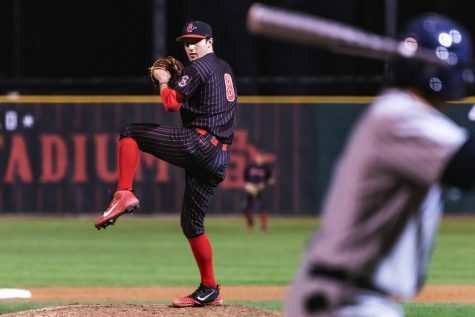 The Aztecs (11-11, 4-1) earned their third straight Golden Coast Conference victory, while the Broncos (6-12, 0-2) were held scoreless through three quarters. Head coach Carin Crawford said senior goalkeeper Maura Cantoni had an impressive showing after Cantoni allowed just one goal. 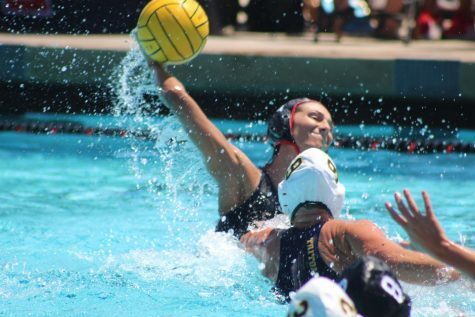 Cantoni, who co-captains the Aztecs, made 12 saves, many of which were from point-blank range. Cantoni credited her teammates for her performance in front of the net. Additionally, SDSU posted 14 steals while Santa Clara tallied six. Sophomore utility player Emily Bennett had 8 shots against the Broncos but went scoreless as several attempts hit the woodwork. 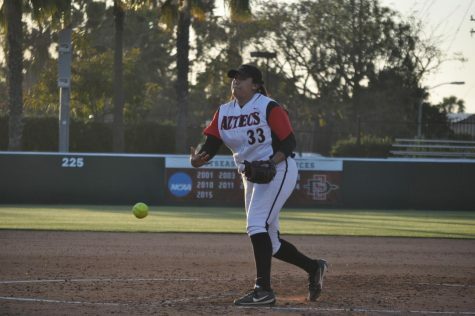 The Aztecs posted a 16 percent shot conversion rate. Crawford said SDSU was unlucky to see some of its shots bounce off the goal frame. Senior driver Hannah Carrillo led all scorers with two goals while collecting three steals. Her second goal came just a second before the buzzer sounded to end the third quarter. 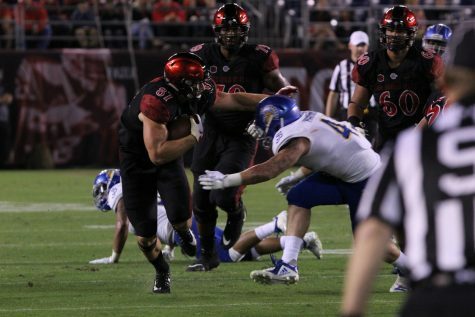 Carrillo said despite the win, SDSU had a subpar performance. Carrillo contributed the only goal of the first half with 6:28 left in the second quarter. Santa Clara was only able to score one shot on 20 attempts. Junior utility player Maggie Oys scored the Broncos’ lone goal with 5:49 remaining in the game. 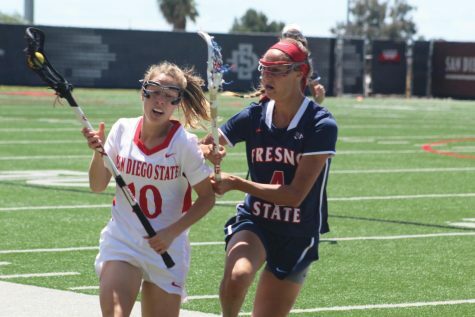 SDSU was knocked out of the national rankings after losses to No. 10 UC Irvine and then-No. 14 Princeton, but victories over GCC opponents No. 12 Loyola Marymount and T-No. 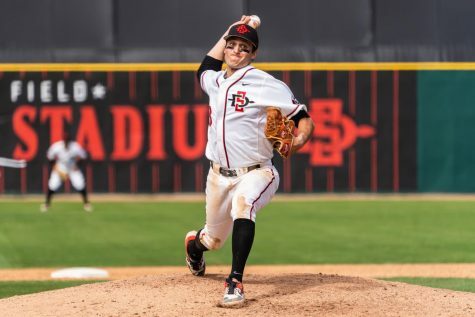 22 California Baptist last week pushed the Aztecs back into the top 25. The Aztecs will compete in the ASU Invitational on March 30 and 31 in Tempe, Ariz., where the team will take on Siena, No. 8 Arizona State and No. 19 San Jose State. The Sun Devils and Spartans are no strangers to the Scarlet and Black. 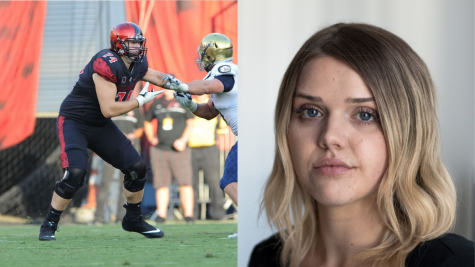 SDSU lost 12-7 to then-No. 9 Arizona State on Feb. 9 at the Triton Invitational and also fell to then-No. 13 San Jose State in overtime by a final score of 10-9 on Feb. 23 at the Barbara Kalbus Invitational. 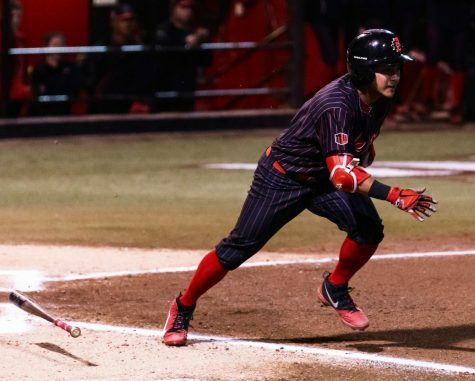 Cantoni said the win will propel the Aztecs into this weekend’s ASU Invitational.